A few drops of rain didn’t hold me back this weekend!! 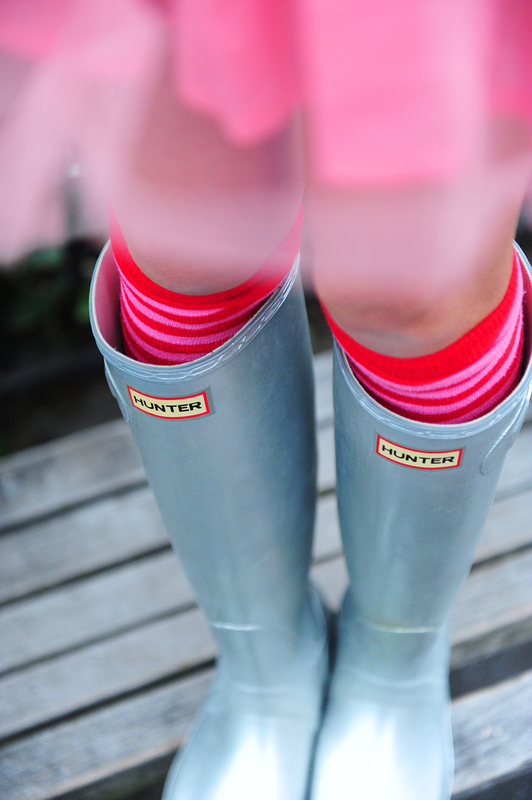 I danced into the dreary day with candy-colored clothes, a stylin’ metallic jacket and wellies to match! Pink poppies overhead (my new fave umbrella) kept me dry as bone! I highly recommend some puddle jumping the next time wet weather comes our way! So fun!! I love my AE cross body bag so much, that I wanted to share one with you! I am giving ONE bag away to ONE lucky reader! Just follow the deets below! 1. Leave a comment so I know who you are!! 2. Follow NYCPretty on Twitter & Tweet “I heart @american_eagle & @nycpretty“! 3. Subscribe to follow my blog (if you haven’t already). 4. “Like” my NYCPretty Facebook page. A winner will be chosen at random later tonight! Good luck lovelies! nice pictures!!! I love your styler!!! And the winner is…Morgan Wright! Congrats! Stay tuned for more fun freebies tomorrow!! I LOVE the adorable pink dress & how its paired with that cute AE bag 😀 I also really love that jacket looking thing!! The photos from this shoot are so great and just scream happy, giddy Spring! Love it. I also <3 the Marimekko umbrella. I love crossbody bags! I carry them every day recently because they’re just so much easier! I shared the giveaway on Facebook. I love this post…super fun!! And I’m definitely a pink girl, so I love everything you featured! The bag is perfect for spring! Nice to meet you, JAMIE!!!! “Liked” your NYCPretty Facebook page. I would love to win this cute bag. I really love your style. Already liked you on Facebook too 🙂 thanks for all the awesome chances to win cool stuff 😀 Looove your blog!! Ah love this bag so much! I have actually been looking for a smaller one like this for summer!! Would love to win!! I love the entire outfit. You make everything look great! Love the pinks and reds!!! So spring-y! I am a new subscriber who heard about your blog from a friend at work. I love everything pink! 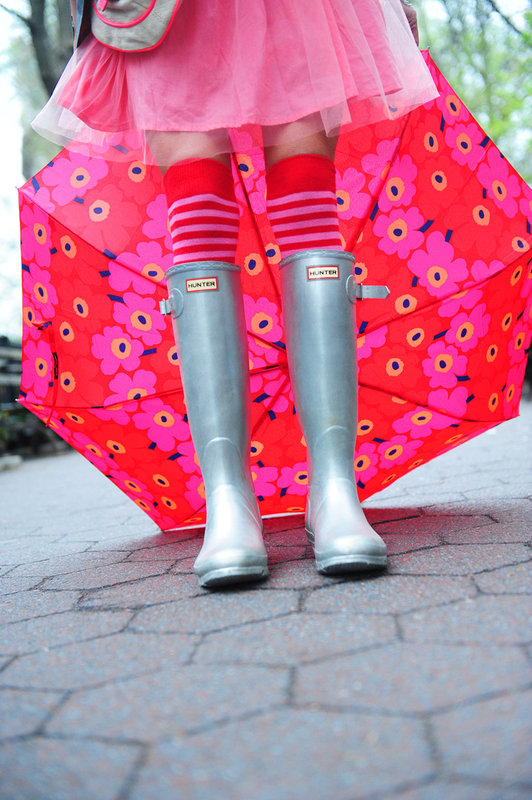 This outfit is so cute with the knee-high socks and poppy umbrella. Such a cute outfit! Def got some ideas for the rainy days I’m walking on campus! This is such an awesome outfit! Def getting inspiration for the rainy days I walk on campus at college! CONGRATS!! 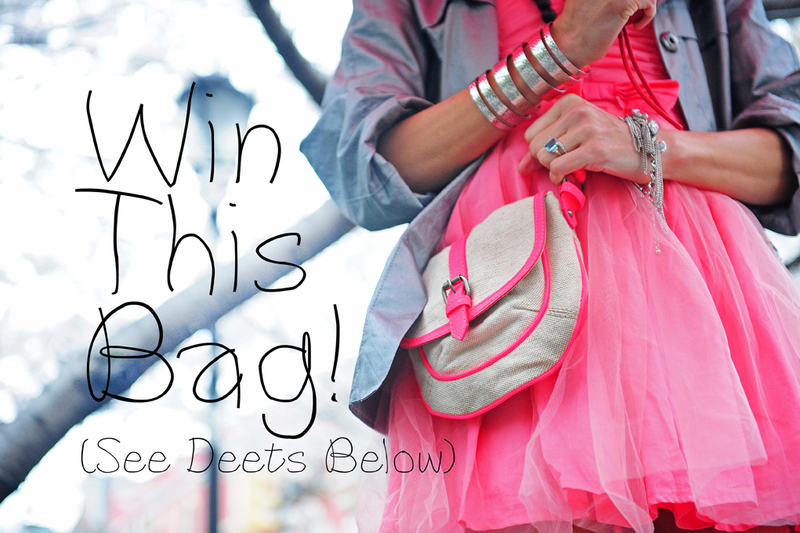 You won the neon pink AE cross body bag!! We will send you more deets later! I love this bag! It’s so perfect. I am going to Ireland in the summer, and this bag would be PERFECT. I am @epicsusan, and I just discovered your blog. I love it so far! I hope you have a lovely day! That bag is so cute, and who doesn’t love American Eagle. I love the grey and pink combo of your outfit too. PS: I need to get that cuff bracelet asap! looove American Eagle and that bad is so adorable! That bag is so cute and convenient! I LOVE this bag. Actually, I really love anything American Eagle. Such a classic and stylish brand! I followed all the steps to enter. Thanks for this giveaway! It’s perfect for Spring. Next > Beauty Wax on!